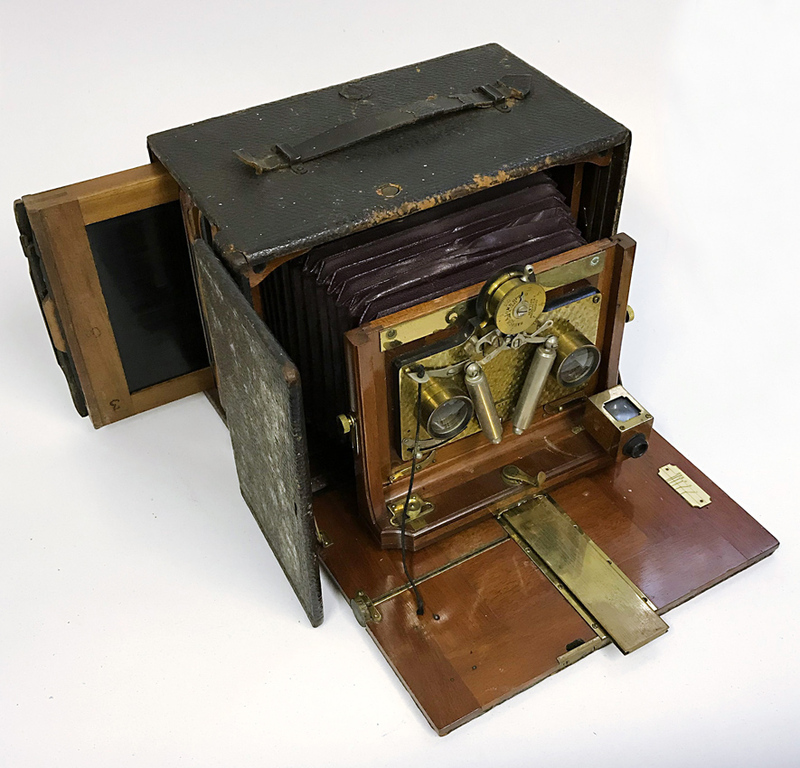 The 1891 model diaphragm shutter bellows camera made by Bausch and Lomb from Rochester New York that sold for £2400 at Southgate Auction Rooms. The 1891 model diaphragm shutter bellows camera, among the earliest of its type, was made by the well-known and long-established firm of Bausch and Lomb from Rochester New York. It easily outpaced a modest £100-200 to take a final bid of £2400. The sale took place on April 1.